A little more than two weeks is left before Christmas, so it’s the right time to find gifts for your friends and family members. Yes, you can still buy socks and gloves, but if you’re looking for something more unique, and if the one you want a present for owns an iPhone 5, have a look at the list below. The Lightning connector of the iPhone 5 isn’t compatible with old iPhone accessories, so most likely your friend who has just bought Apple’s new flagship will need new ones. And what accessories does any iPhone owner need? Right, a docking station, a good case, a pair of headphones, gloves (it’s winter, after all!) and something unique and geeky that will help him/her stand out. If you can afford buying a gift for $99.99 (£62.40), have a look at JBL OnBeat Micro, a great all-in-one dock any iPhone owner will love. This simple and stylish gadget will dock and charge the iPhone 5, plus it has a good speaker, too, with two JBL full-range transducers that will make your favourite music sound great. It’s also compatible with a number of other portable devices, thanks to its USB and audio connectors. Most devices made by Apple are eco-friendly (tests conducted by a number of third party companies can prove it), and that’s what makes this company so special. I guess every iPhone owner wants environmentally friendly accessories, too. Slide 2.0 by Mu Mu is a great example of a well-designed green case made from British hardwood and other sustainable materials, and it will make a perfect gift for any iPhone owner friend of yours. It’s thin and light yet it can protect the new iPhone 5 just like any other case. Besides, it improves the built-in flash of the iPhone and increases the camera aperture. 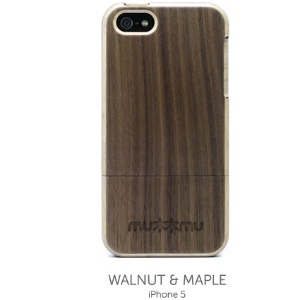 There are two versions of this case (Walnut and Maple or Maple and Walnut), and both cost £35 ($56), which seems to be a good price for a stylish eco-friendly accessory. If you want to buy headphones as a Christmas gift, have a look at the House of Marley Redemption Song that is sold at Amazon for £51 ($82). 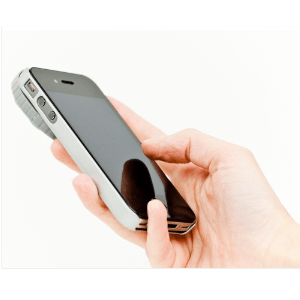 Brilliant sound quality, good balance, wooden backs, Aluminum front, recycled plastic, and three in-line controls to answer calls and play music – here’s what you’ll get for that price. Any geek will love it for sure. Until now gloves were thought to be among the worst and dullest holiday gifts, but now when gloves able to work with smartphones are invented, everything has changed. If your iPhone 5 owner friend already has headphones, a dock and a case, he’ll still be happy to receive unique conductive gloves like those made by Agloves. For $19.99-$29.99 (£12.5-£18.7) you’ll get a pair of cool gloves that will keep your hands warm and work on touchscreens. Too bad there isn’t a big choice of colors, but anyway, most people prefer black gloves. Finally, if the one you’re looking a Christmas gift for has all of the accessories described above, you can present him the cool Holga iPhone Lens (sold for $30). This gadget has a rotating disk with 9 different lenses that can help create photos just like those with Instagram, and it’s perfectly compatible with the new iPhone 5. It looks really stylish, too, so it seems to be a perfect gift for almost anyone. Shopping at Amazon via these links helps support the site.